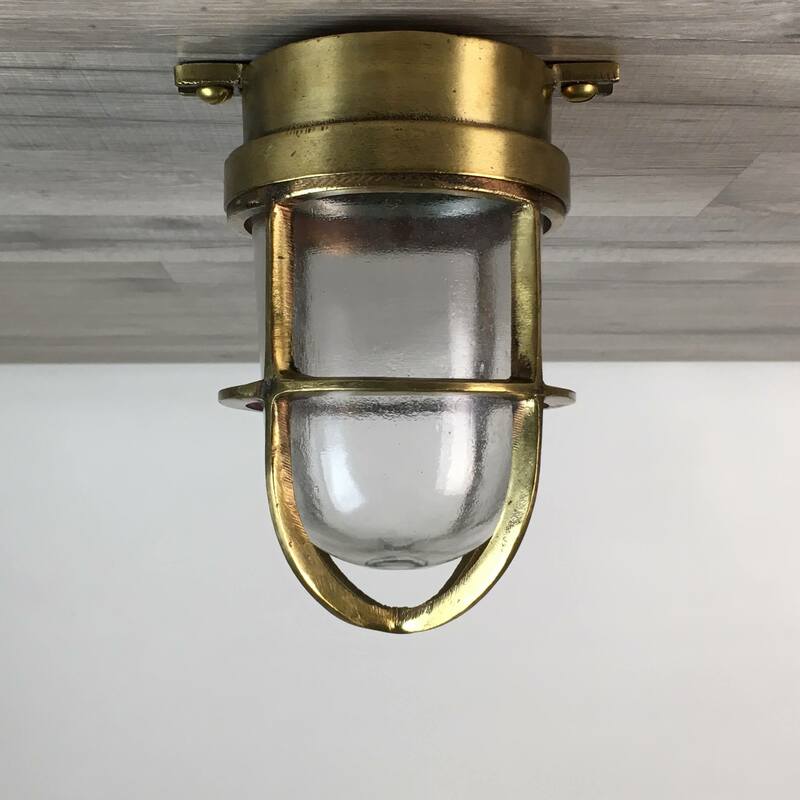 This is an authentic salvaged vintage nautical pendant light with quite a bit of weathering. These rare pendant lights are also known as foxlights. 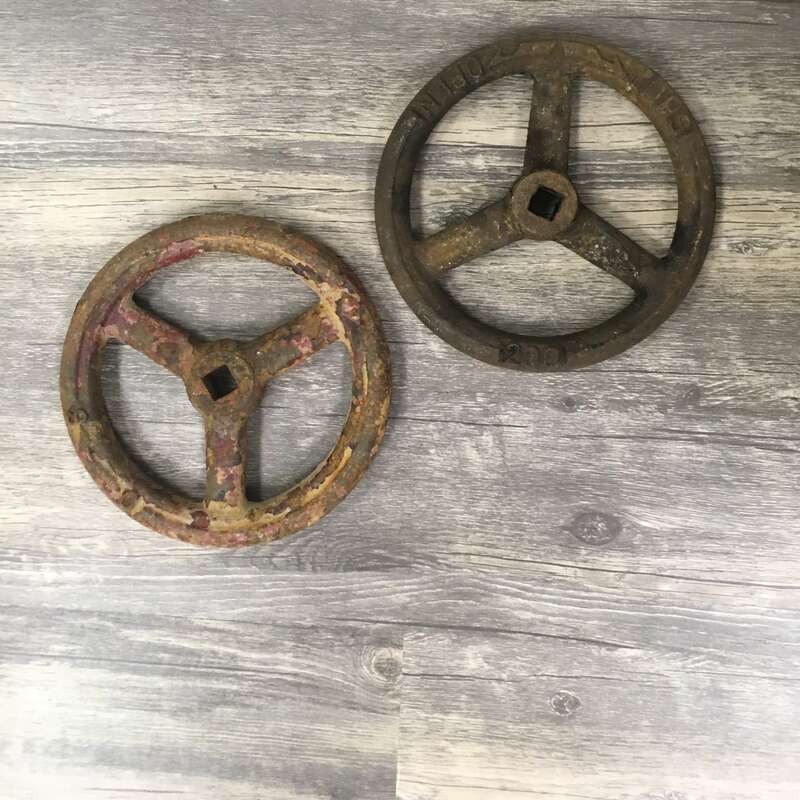 They are salvaged from ships where they were used as cargo or deck lights. The ceiling mount plate is 5 1/2 inches in diameter with four mount holes. The new wiring includes a new UL-Listed Westinghouse Electric bulb socket that takes a medium base bulb of 100 watts or less. The new wiring is rated for any voltage under 250 volts. Changing the bulb is as easy as removing the wing nuts on the frame around the glass lens. The large “U” shaped bracket along with the down rod and ceiling mount are not original, but fabricated by us to make this light more useable. You will be shipped the vintage nautical pendant light shown in the photos.